Here we will update all the frequently asked questions related to GMRC, 2017 examination. These questions are based on very basic knowledge but sometimes candidates be confused in these questions. So, Here we created a page for providing information related to these queries about GMRC, 2017 examination. Q.1. – When I will be able to take printout of Registration Slip ? A.1. – After a minimum of two working days of depositing the fee in the bank . Q.2. – If the print out of the registration slip could not be taken. Can it be taken out at a later date ? A.2. – Yes, The printouts of the registration slip can be taken at a later date. The link for taking printout of the registration slip is available on the website. Q.3. – Whether the registration number can be viewed again if the same has not been noted down at the time of submission of application? A.3. – Yes, The same can be retrieved from the website from the link mentioned in website by giving email-id and date of Birth. Q.4. – When I will be able to take printout of Registration Slip ? A.4. – After a minimum of two working days of depositing the fee in the bank . Q.5. – I am a graduate and applying f or Customer Relations Assistant but I don’t have computer literacy (Computer Application Course of a minimum 6 weeks duration course from reputed Computer Training Institute) on the date of application. Can I apply for Customer Relation Assistant post and obtain Computer Application Course of a minimum 6 weeks duration course after applying for this post ? A.5. – Yes, You can apply for Customer Relations Assistant post and you can obtain Computer Application Course of a minimum 6 weeks duration course there after but the condition of making your application eligible for the post will be subject to production of proof of having passed eligibility qualification (Certificate in Computer Application Course of minimum 6 weeks duration) on the date of interview..
Q.6. – I have done 4 years B.Tech/B.E. in Electrical/ Electronics/ Mechanical/ Civil Engineering, Can I apply for the post of Junior Engineer (Electrical/ Electronics/ Mechanical/ Civil) ? Q.7. – I have done 4 years B.Tech/B.E. in Electrical/ Electronics, Can I apply for the post of Station Controller/ Train Operator (SC/TO ) ? Q.8. – Can the age of candidate be rounded off to the lower limit ? A.8. – No, The age cannot be rounded off to the lower limit. Q.9. – When will the written test be held ? A.9. – Schedule for Written Test/ Interview test will be notified only through GMRC website. The Candidates are advised to visit our website regularly pertaining to this Advt. Refer Selection Process column in the Advt for details. Q.10. – Whether NOC has to be obtained for applying by the applicants from Ex Serviceman/ PSUs/Govt. Departments ? A.10. 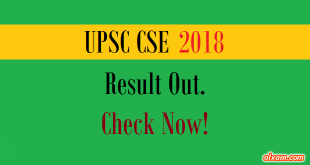 – Candidates from Ex – Serviceman / PSUs / Govt. Departments are required to obtain NOC . NOC will be verified at the time of interview for qualified candidates. Q.11. – Whether OBC certificate in the state government Proforma allowed ? A.11. – No, OBC certificate should be in the format prescribed for employment under government of India and the same is given in the appendix II in the “Eligibility Criteria and Other Details” on the website. However we are here trying to provide the information accurate and valid. If you find any discrepancy, please let us know. You may directly contact to the GMRC helpline PHONE NUMBER or EMAIL ID for exact information. Many candidates said that GMRC is not answering our emails so that we created this post in order to help candidates in filing GMRC application form & solving other GMRC exam related queries. Final decision is solely depends upon the applicant.